We are counted as one of the greatest Aorma Oil Diffusers exporter from India. 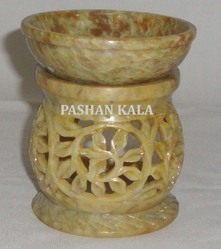 For the quality assurance, superior quality stone is used in manufacturing of this Oil Burner. Unbeatable design create a huge demand for these among our national as well as international client. The packaging of Aroma Oil Burner we provide is very safe and quality proven. In order to comprehend and meet the diverse demands of clients, we are able to offer Oil Burner. These fragrance burners are made utilizing highly modern machines and innovative techniques in strict conformation with the industry laid norms and standards. Moreover, the offered range of fragrance burners is tested on different characteristics to ensure that defect free products are delivered at customers premises. Enriched with a vast industrial experience, we are involved in manufacturing and exporting a wide variety of Stone Oil Warmer. These Aroma Lamps are smoothly finished and intricately designed in accordance with client specification. Our Oil Burner are demanded and applauded by client all over the world. We offer quality-assured product at leading price in markets. Our exquisitely crafted Soapstone Oil Diffuser is widely used to spread pure as well as magical Aroma in the home. The essence of the burning oil and herbs harmonizes and complement the ambiance of the place and enhances the mood of people around. 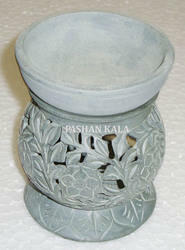 Our Soapstone Aroma Lamp is highly appreciated by the client owing to it attractive design. The Stone Aroma Reed Diffuser offered by us is something that worth your investment. 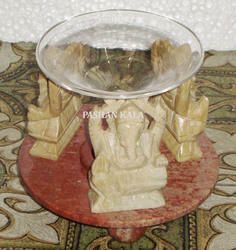 We are identified as one of prominent Stone Aroma Lamp manufacturer in india. Our Aroma Lamp is highly appreciated by the clients owing to its attractive design. All these Oil Burner are available in customized range in accordance with clients’ specification. We are able to export a wide range of Aroma Oil Diffuser. Lamps offered by us are made by using a variety of material which is of highest quality. Our Stone Aroma Lamps are available in a variety of design and colors. These Oil Burner are the preferred choice of many people because of their attractiveness and durability. 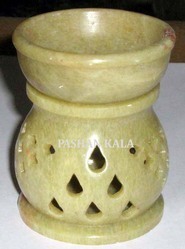 Looking for Soapstone Aroma Lamp ?